Welcome to the guide here in this guide I will be showing you my general tactics for shipbuilding. with subjects such as the way, I like to armor or other effective armor strategies, or the number of missile factories and other ammo factories that are needed for their respective weapons. 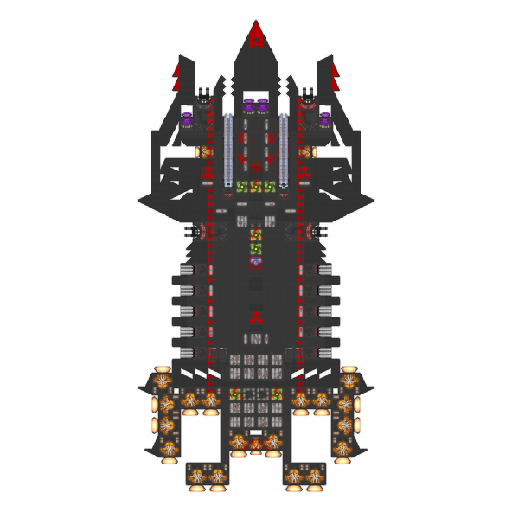 as you can see I have a large amount of armor in the front (this ship is a PLOW for mines and minefields (basically a minesweeper)) But you can also see the triangles on the front armor that lighten the armor but sacrifice not a whole lot of strength. 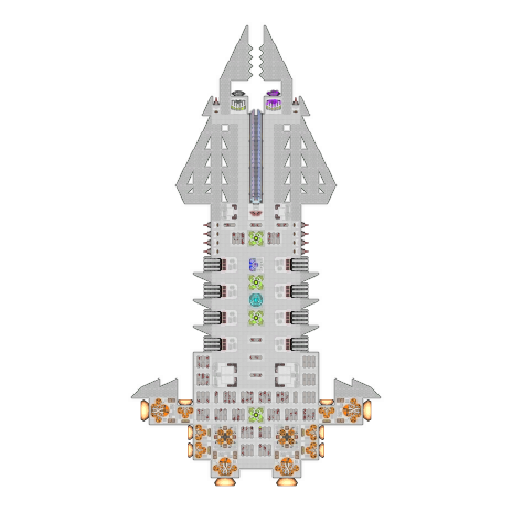 as you can see the ship has a center area somewhat separated from the rest of the ship with some conveyors to speed up the crew around it allowing fast reload and transportation of recourses and weapons. In this design, you see many don'ts the filler corridors the very few crew quarters and the clumped reactors these cause massive vulnerabilities and the fact that there are so few factories makes it so the weapons can not reload at nearly the best speed. you should also with the shields not put a reactor directly behind them you should have a reactor for 2 shields behind some internal armor to prevent the reactor from getting hit. an anti shielding weapon that is meant to drain the power from enemy systems it can deal very little physical damage but can go thru shields and drain them of power quickly, they are great when coupled with other weapons to drain shields. a weapon that can penetrate almost all enemy defense systems and is able to be increased power by using the accelerators this weapon has the most damage potential of any wepaon in the game it can have the accelerators between the launcher and the contro, section to increase the railguns overall damege but they are incredibly vulnerable and need all the protection they can get. FIeryspirit06 Suggestion: Do not stuff your bunks anywhere - place them near important parts. Suggestion: Add multiple shield layers to your railgun. This way you have a protecting backup incase some shields deactivate.